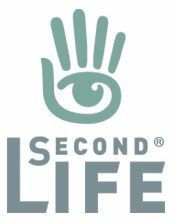 On Thursday, November 1st, 2018, Linden Lab blogged about further updates and fixes to the Second Life Marketplace. the post also confirms that the promised clean-up of older listings is now in progress. And only those items which have not sold within two years. The clean-up is an unlisting of items, not a deletion. Should any merchant notice items have been unlisted that they believe should not have been, they are asked to raise a Jira so that Commerce Team can investigate. A new Anime Marketplace communities. Marketplace order confirmation mail should include a product link and seller data. So it will from now on. “Items per page” kept resetting to 12 in wish lists. Annoying! Any search field will now display an x on the right side once the user has started typing. This will allow you to quickly remove/delete all text in the field instead of having to backspace out the information. Merchants can no longer review their own listings. Obviously, yours are the best. Store favourites used to say “Sold by [current user]” instead of the store owner. That’s silly! Marketplace review helpfulness rating buttons were broken, but we unbroke them. You could not preview listing with no price, but now – you can. Buying item for users not in the marketplace would throw an error, but that’s fixed. New Marketplace wish list didn’t work in other languages than English. Wish list Joy to the world! Added a helpful pop-up for the keywords field, which describes Boolean search functionality, so more people can discover it. While it is subject to confirmation, the next Web User Group meeting should be on Thursday, November 29th, 2018. Check the WEB wiki page for the schedule nearer the time. I think it will be a while before the new categories have any effect. There is a huge amount of old stuff which could be in the new categories, but will it ever get shifted? That can’t be automated, and will creators bother to do it? The fragmentation linked to mesh bodies is still there, you’re still going to have to struggle with the search engine to find the correct type of items, and the false positives seem to be still there. Well, give the web team a chance! 🙂 After yonks with requests for the MP to be seriously looked at getting ignored, we now have people willing to actually dig back into things and start a rolling series of projects designed to improve things. As those who attend the WUG know, Search is something the Lab wants to tackle, and they are the first to admit that there is a lot to be done to improve the the overall shopping experience. BUT … MP is a monster that has unfortunately been allowed to get somewhat out-of-control, and it is going to take time to tame it. Right now, we have a team who are listening to residents, meeting with residents taking feedback, being generally pro-active with feature requests that have lain dormant for a long time, actively seeking new feature requests. They’re in-world, they’re on the forums… So, if you do have any ideas for improvements / would like to see specifics tackles, why not with raise a feature request Jira with suggestions, or hop along to the monthly WUG meetings? You’ll find tat later open and friendly with a lot of discussion, voice AND text. This system has been so frustrating since it was introduced in 2015. But for the past two years I have had issues with the Manage Listings telling me the site is currently unavailable, or being unable to move items into my Marketplace Listings from my inventory (creating a folder and selecting “copy to to marketplace listings” does nothing, no matter how long I wait, and when I try to just drag it over gives me a message that “Items dragged to the Marketplace Listings window are moved from their original locations, not copied. Do you want to continue?”, and even if I select “OK” they still do not appear anywhere), and the few items that I DO have listed from before I cannot even add updates to the folders in my Marketplace Listings, all of which is extremely frustrating when I am continually told that if I want to make sales I need to list my things on the marketplace, and feeling angry that I cannot even do it when it should be so simple! I can’t really offer in-depth help through these pages. I can only suggest you check the following videos, and if they don’t help you, try seeking the support for other merchants through the Commerce forum. Set out what you’re doing as a step-by-step approach, that way people will more easily be able to see if you are making any mistakes along the way and / or where things might be going wrong. Videos: Learning Listing, Version & Stock Folders; Creating a New Listing; Updating a Listing.